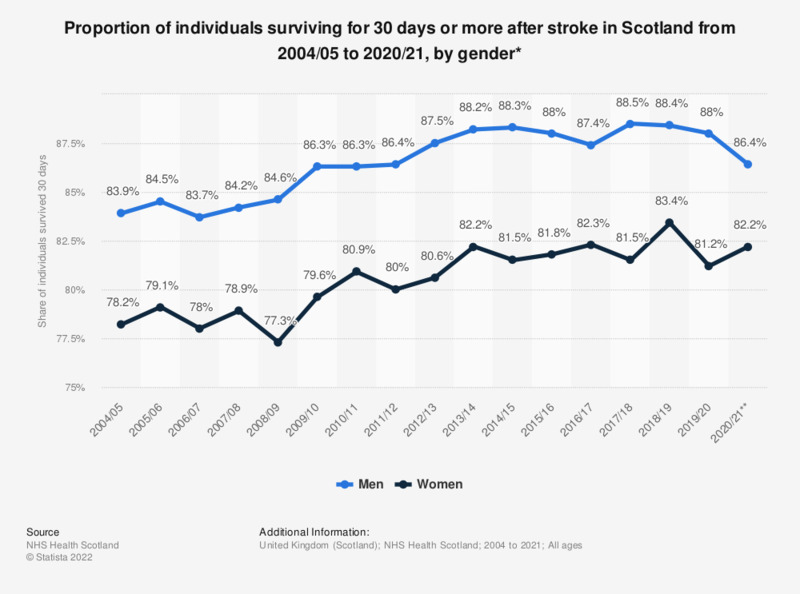 This statistic displays the proportion of individuals surviving for 30 days after a first emergency admission for stroke in Scotland, from 2004/05 to 2017/18, by gender. In 2017/18, 88.8 percent of men and 81.8 percent of women survived for 30 days or more after a first admission for stroke. * Survival for 30 days or more after a first emergency admission for stroke.